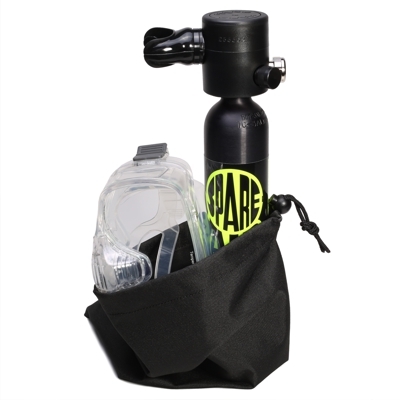 THE SPARE AIR PACKAGE FOR FIRE AND SMOKE SELF-RESCUE! Designed to get you to safety in the event of an emergency, yet small enough to place in your home or office! 3.0 cu.ft. 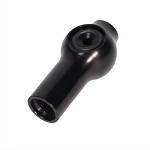 Black Anodized Spare Air with Dial Gauge. 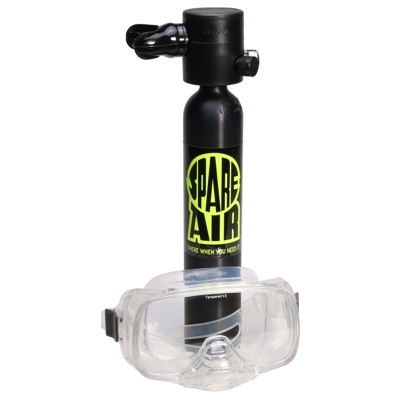 Spare Air is shipped prefilled - ready to use right out of the box (USA ground shipping only). 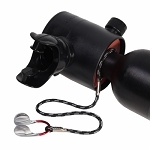 Refillable by returning to Submersible Systems or at SCUBA shops that refill 3000psi SCUBA tanks. Refill Adapter sold separately. NEW! We are shipping units to address within the Continental USA pre-filled to 3000 psi. Your new Spare Air will be ready to save your life right out of the box. We can only ship by FedEx Ground. 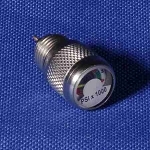 Each Spare Air Escape Unit includes a Dial Gauge that reliably measures available air supply in 200 PSI increments. 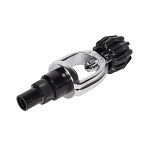 Use 920C Air Compressor Refill Adapter (sold separately) to refill your Spare Air from any high-pressure breathing air compressor. 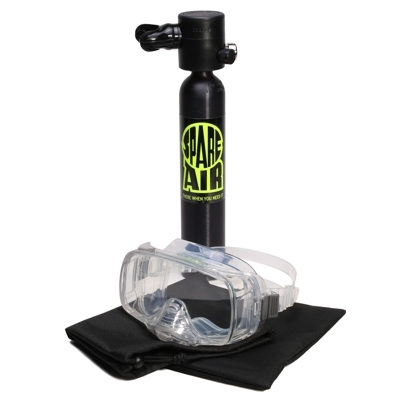 Use 910S SCUBA Tank Refill Adapter (sold separately) to refill from any full 3000 psi SCUBA Tank.